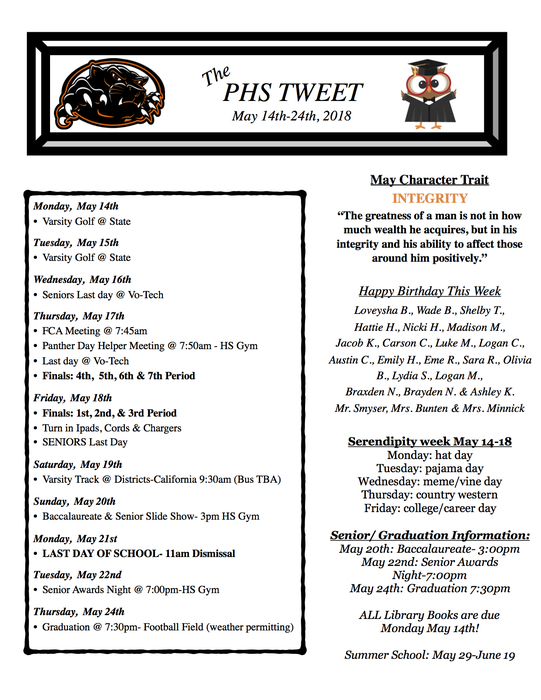 The PHS Tweet for the Week of April 22nd! 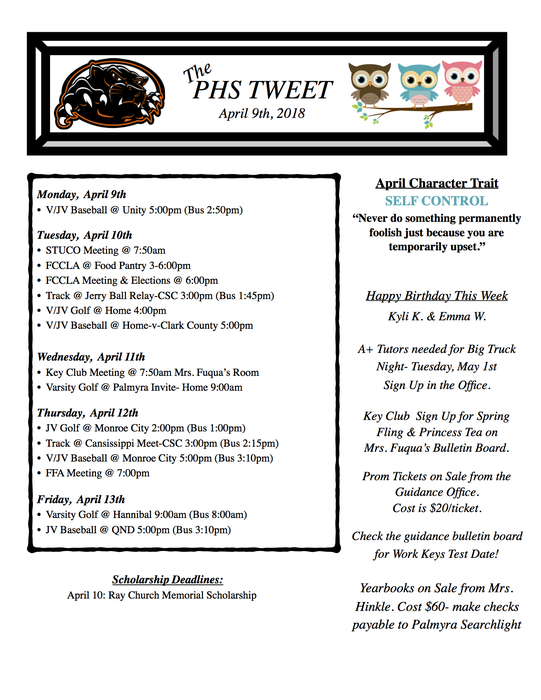 The PHS Tweet for the Week of April 1st! 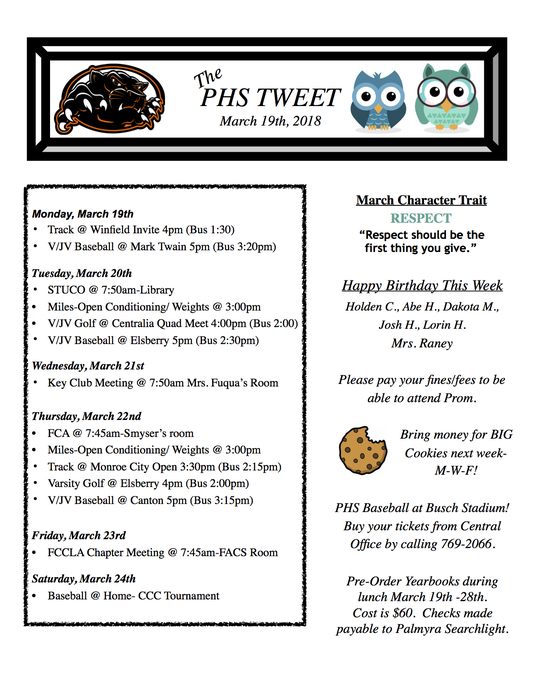 The PHS Tweet for the Week of March 18th! 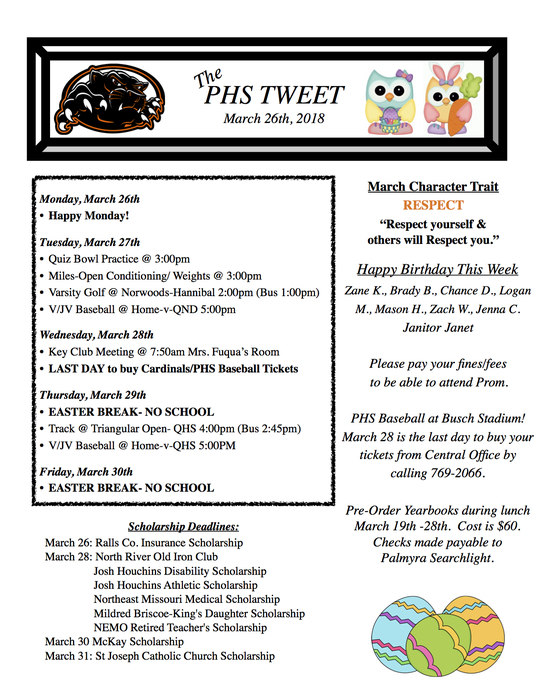 The PHS Tweet for the Week of Feb. 25th! 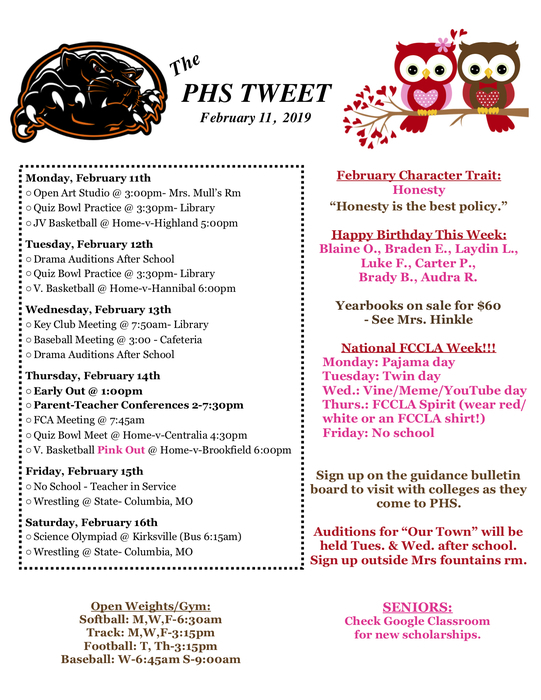 The PHS Tweet for the Week of Feb. 18th! 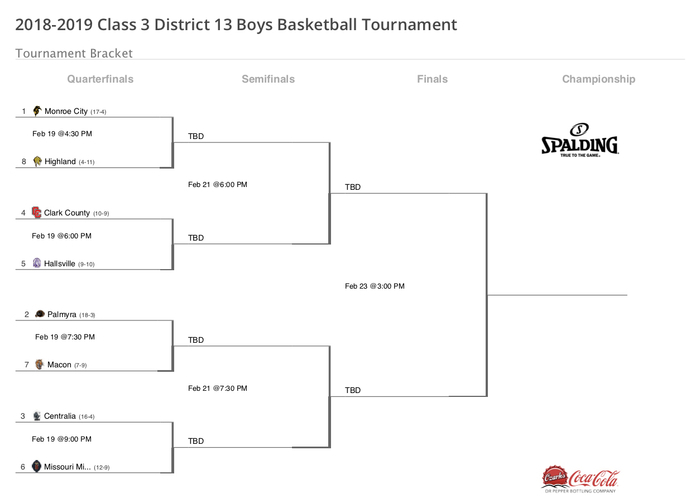 Class 3 District 13 Basketball Tournament Brackets for next week! 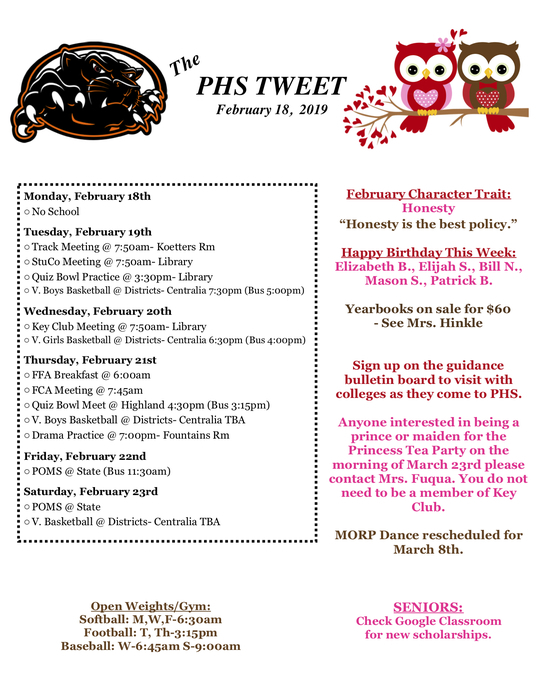 The PHS Tweet for the Week of Feb. 11th! The MORP dance for tonight is postponed. A date is still to be determined. 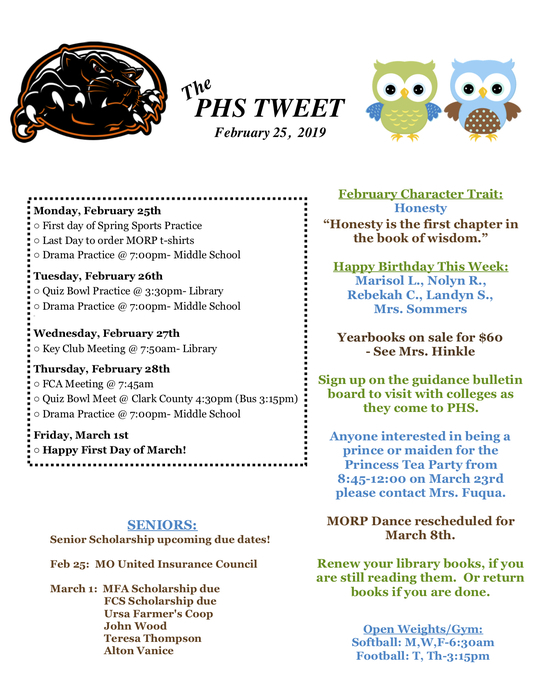 PHS Tweet for the Week of February 4th! 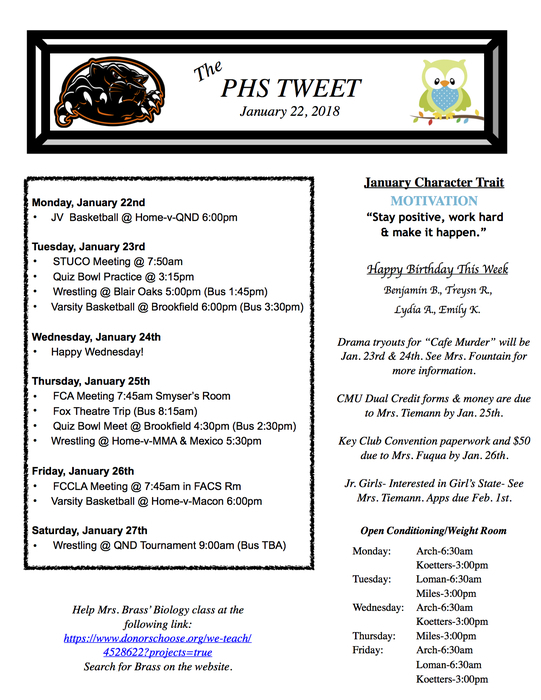 The PHS Tweet for the Week of Jan 28th! 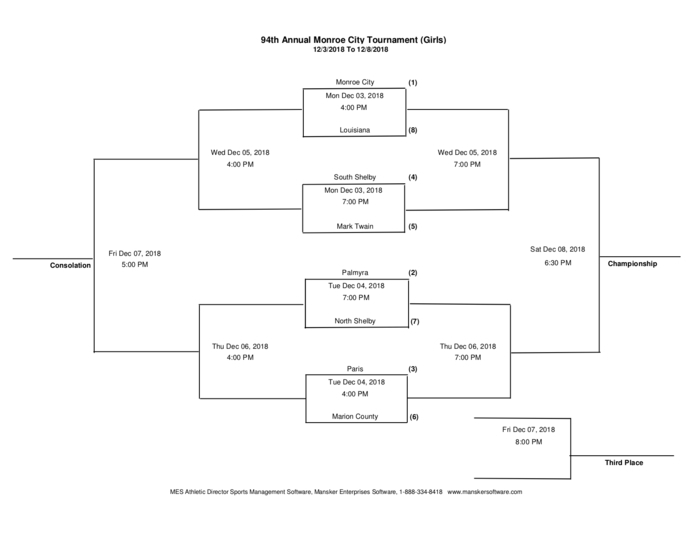 The Pink Out 🏀 game will now be vs. Brookfield on Thurs. Feb. 14th. 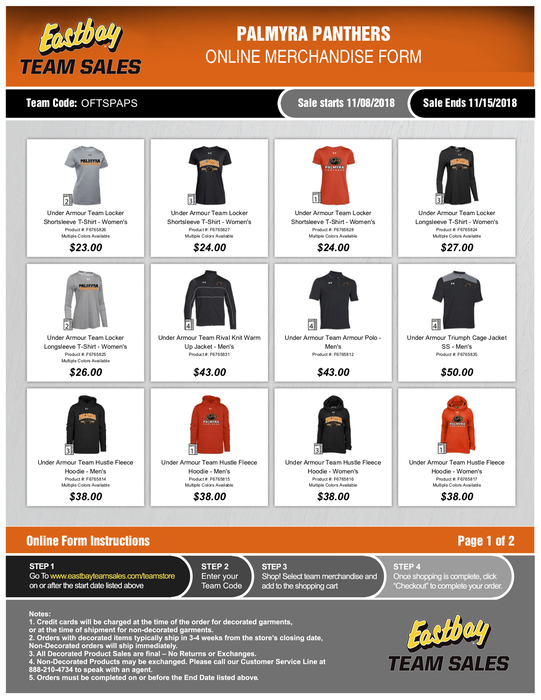 If you have already ordered there is no need to turn in a new form. 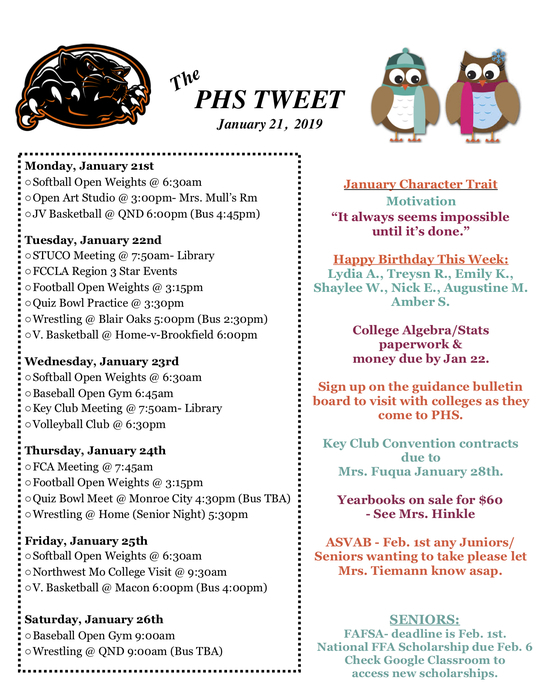 PHS Tweet for the Week of Jan. 21st! EARLY OUT TODAY AT 1PM DUE TO IMPENDING WEATHER. 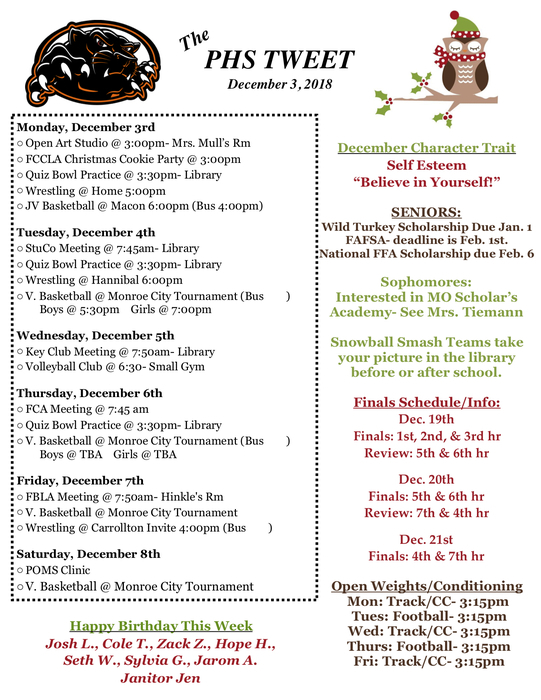 Wrestling tomorrow @ Moberly will now start @ 5:30! 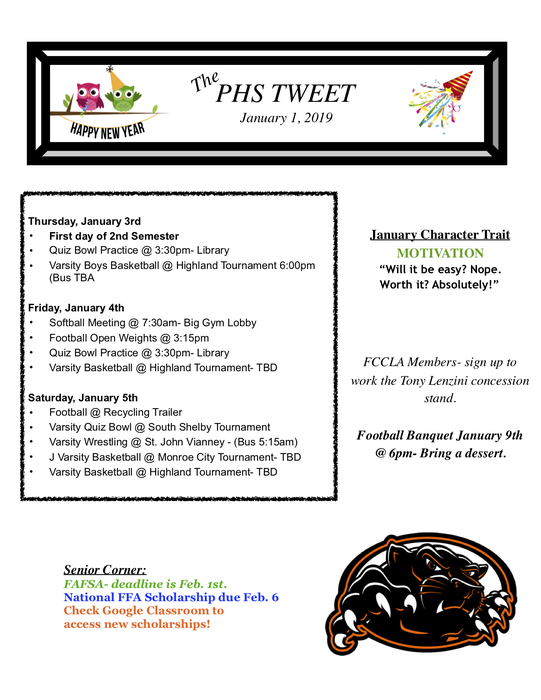 The PHS Tweet for the Week of Jan. 7th! 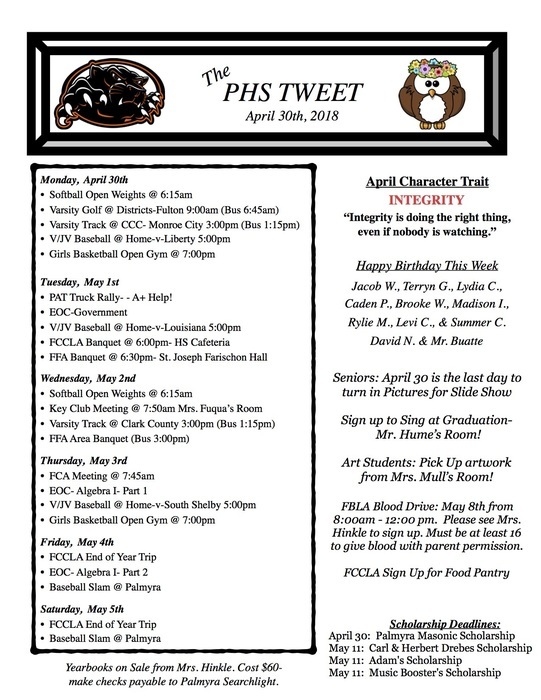 PHS Tweet for the next couple of days! 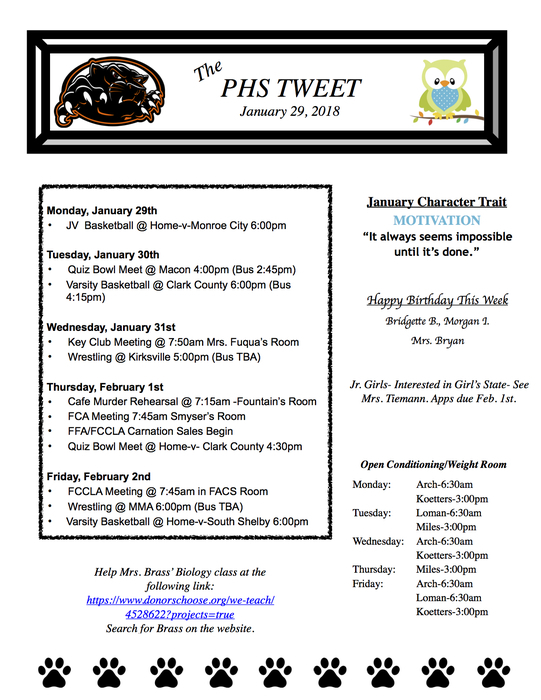 The PHS Tweet for the Week of Dec. 10th! 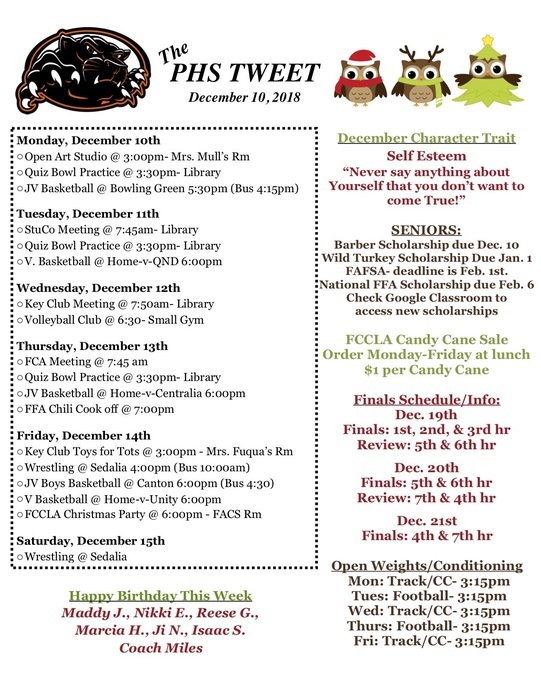 PHS Tweet for the Week of Dec. 3rd! 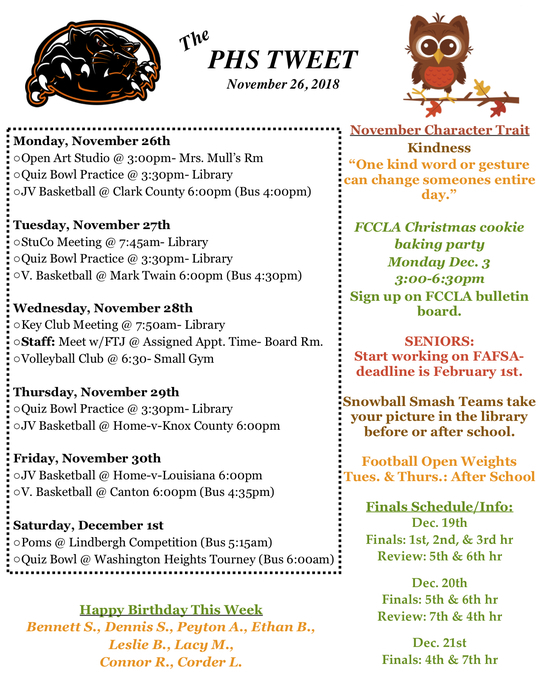 PHS Tweet for the Week of Nov. 26! 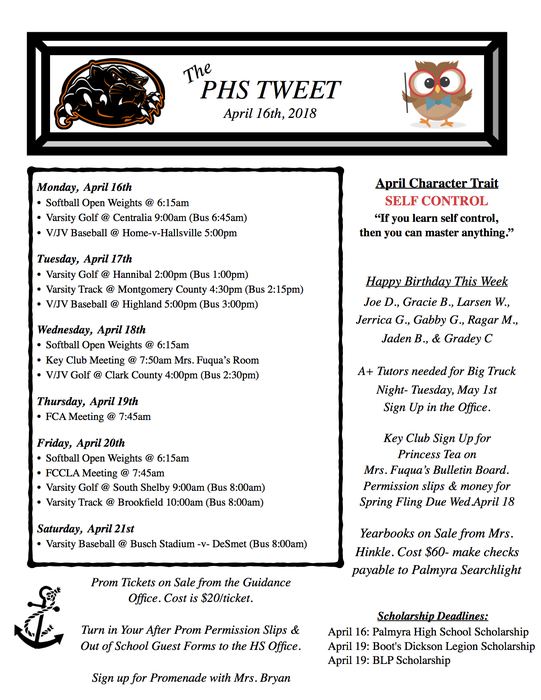 The PHS Tweet for the Week of Nov. 19th! 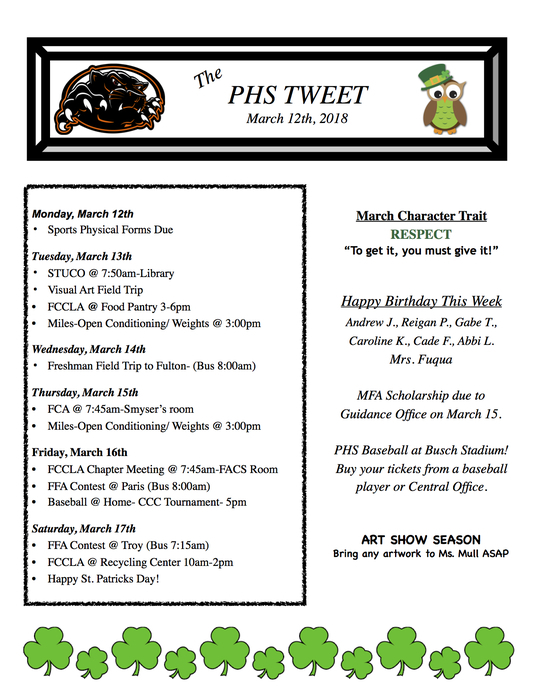 The PHS Tweet for the Week of Nov. 12th! 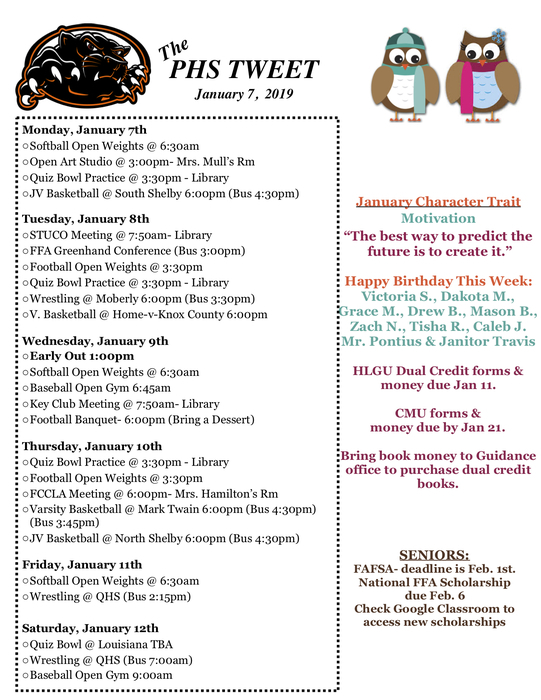 Don't forget to send lunch $$ w/ your HS student(s) if needed. 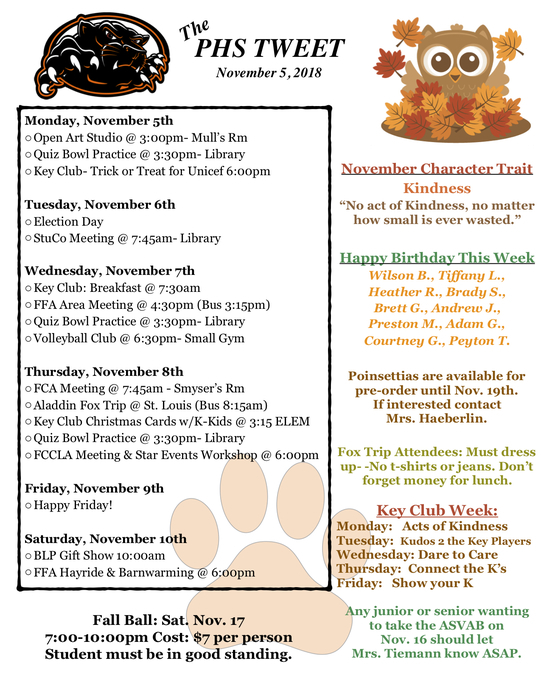 Fall Ball is Nov. 17th & lunch balances must be positive to attend. Watch the Palmyra Panthers take on Clark County Indians LIVE on the NEMOnews.net Facebook page tonight. 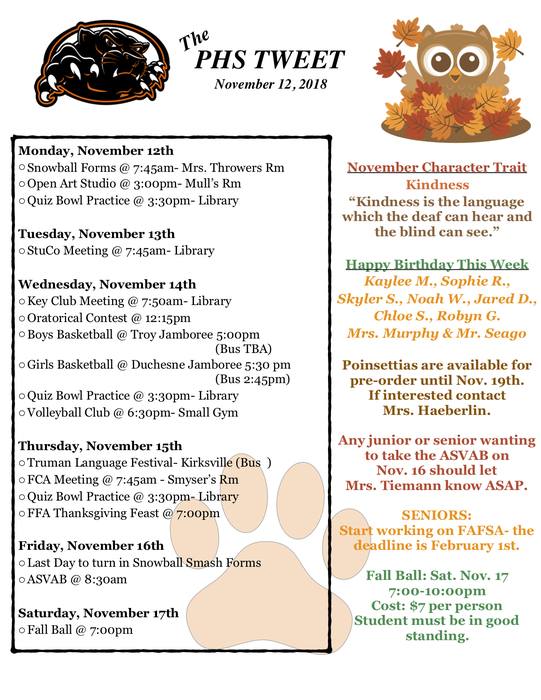 PHS Tweet for the Week of Nov. 5! 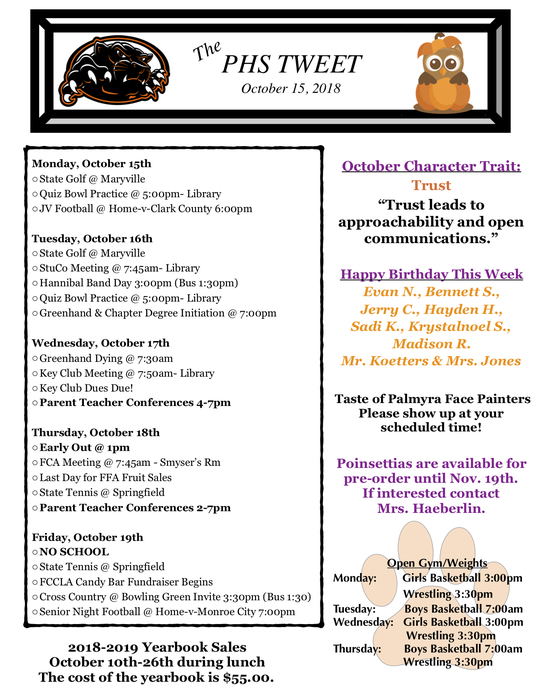 PHS Tweet for the Week of Oct. 29! 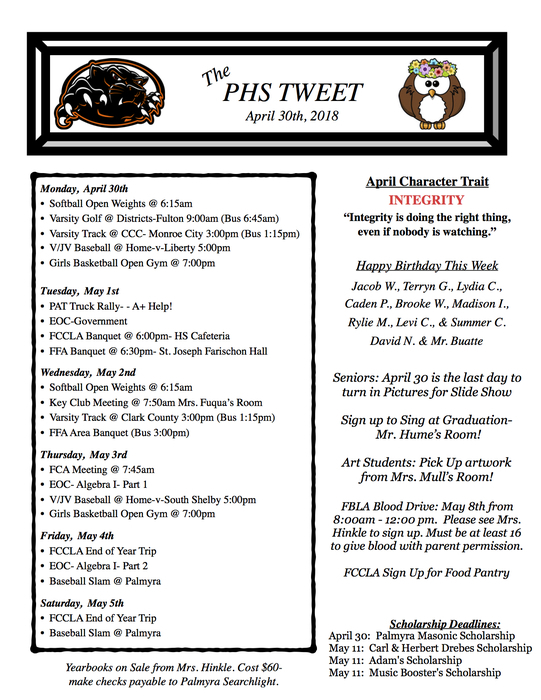 The PHS Tweet for the Week of Oct. 22nd! 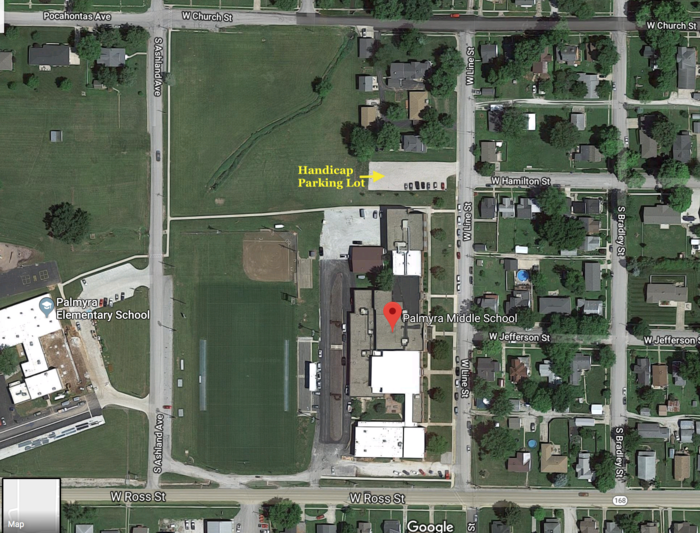 Coming to the Football game tonight & need to use our handicap parking lot? 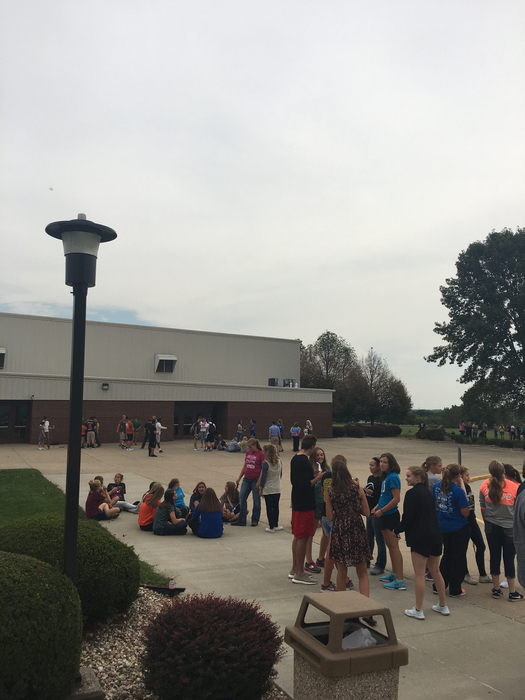 It is on the North Side of the Middle School with an approx. 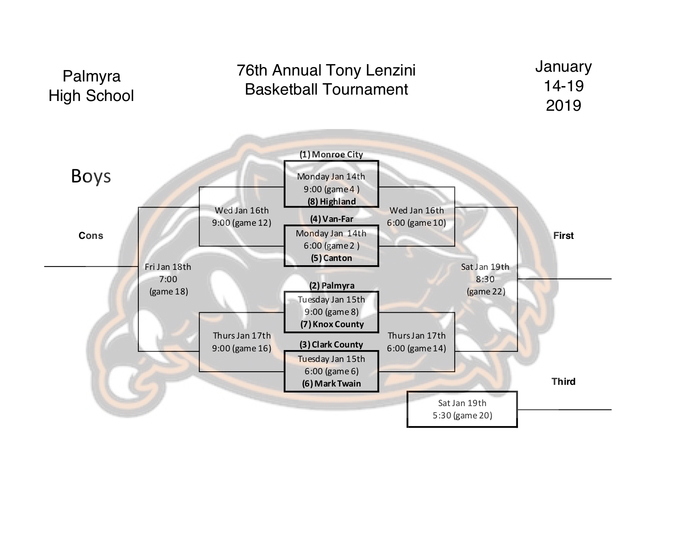 address of 450 W. Line St. Go Palmyra Panthers! Have you ordered a yearbook? They are on Sale Now $55 each. EARLY OUT TODAY AT 1PM FOR HIGH SCHOOL ONLY. BUSSES ARE STILL RUNNING AT 3PM. BUS RIDERS ARE ABLE TO STAY AT THE HIGH SCHOOL. The Homecoming Parade has been cancelled due to weather. Buses will run as normal. 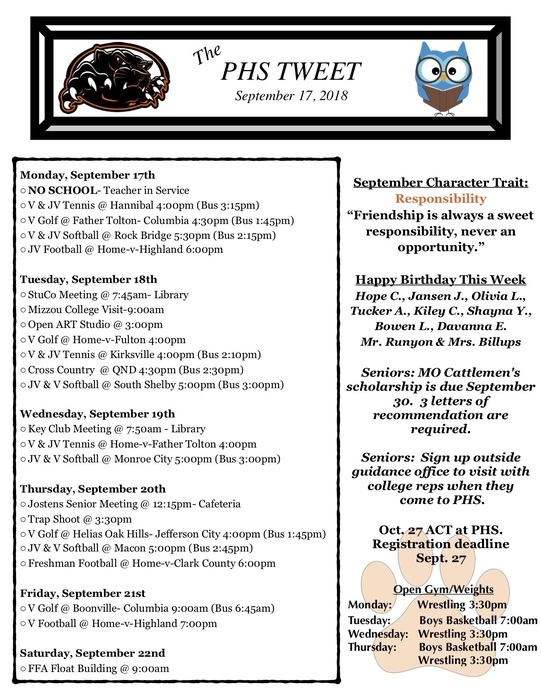 Please come out to the Football game this evening to support the Panthers! Game time is 7:00pm. 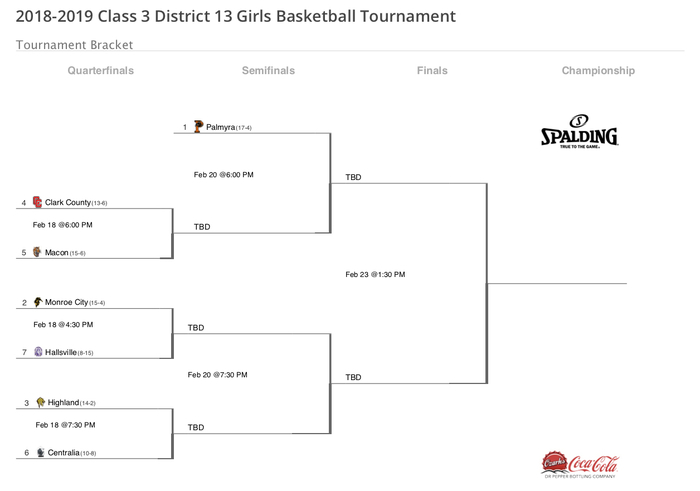 District softball @ Palmyra will be played tonight! Both games will be pushed back 1 hour. 1st game @ 5:30 & 2nd game @ 7:00. 2018-2019 Yearbooks go on Sale Oct. 10th during lunch. They are $55 each. Tonight's softball game will now be played @ HOME in Palmyra. 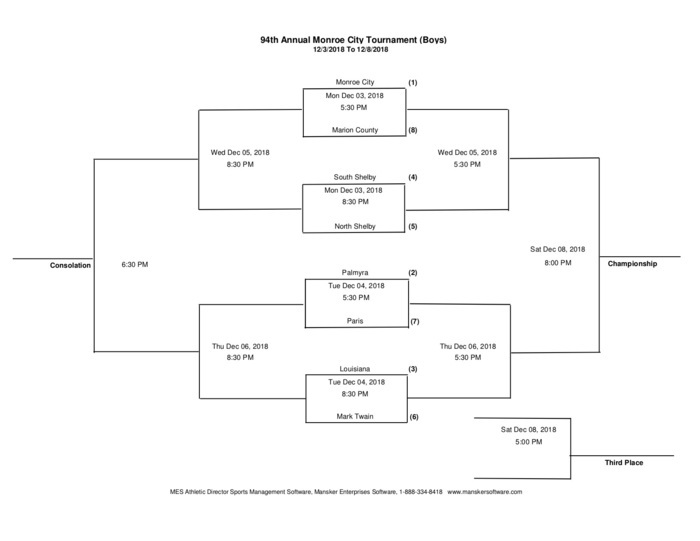 Varsity @ 5pm followed by the JV. 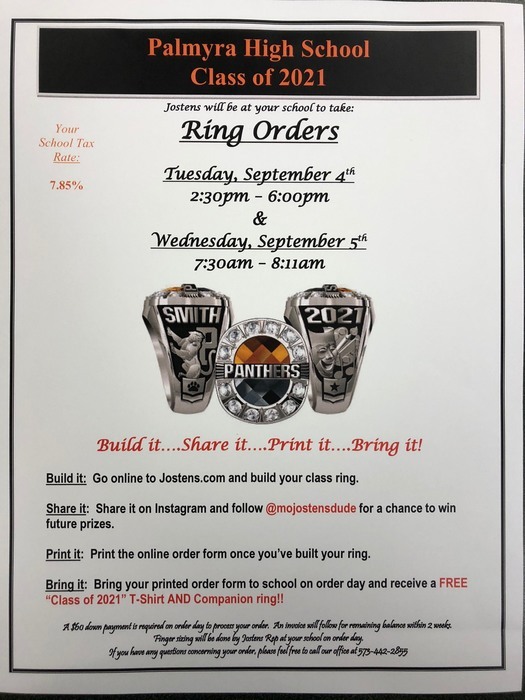 Jostens Senior Orders are due tomorrow! 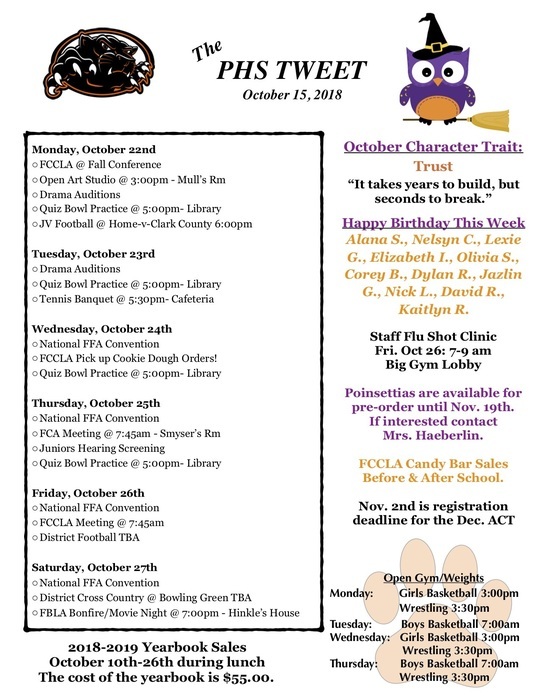 Don't forget to register for the October ACT at www.act.org and choose PHS as your testing center. 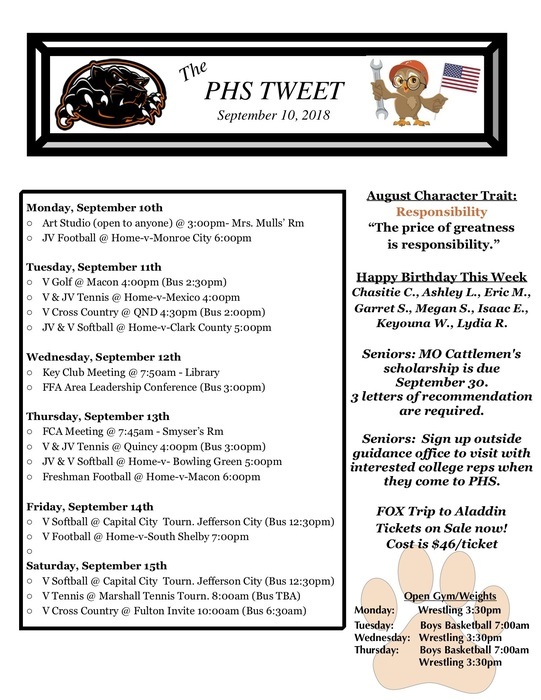 The PHS Tweet for the Week of Sept 24th! 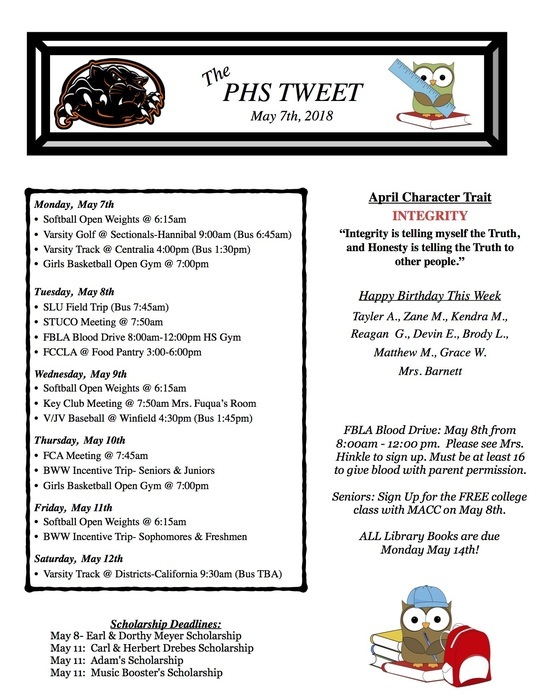 The PHS Tweet for the Week of Sept. 17th! 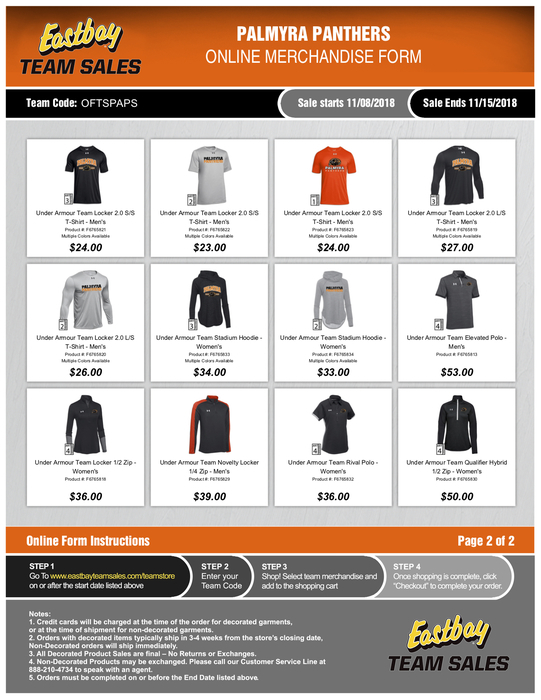 HOMECOMING T-SHIRT ORDERS ARE NOW BEING ACCEPTED! 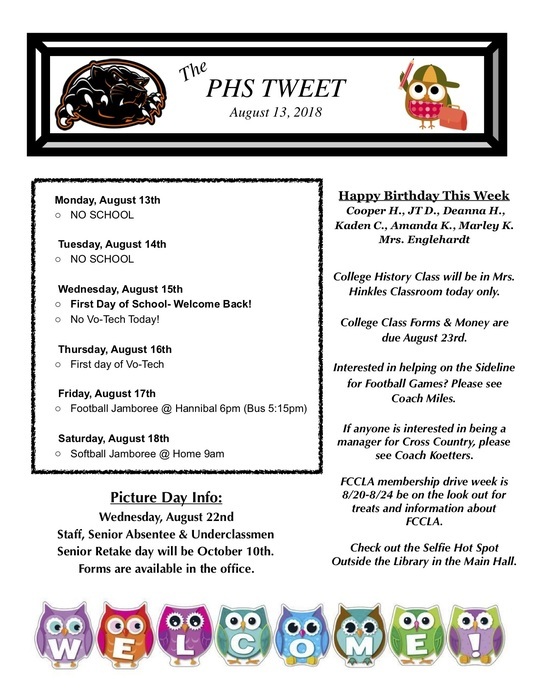 The PHS Tweet for the Week of Sept. 10th! XC meet at home tomorrow has been postponed to 9/20. Girls Golf tournament for tomorrow has been postponed to 9/21. JV & V softball for tonight vs Monroe City has been postponed to 9/19. 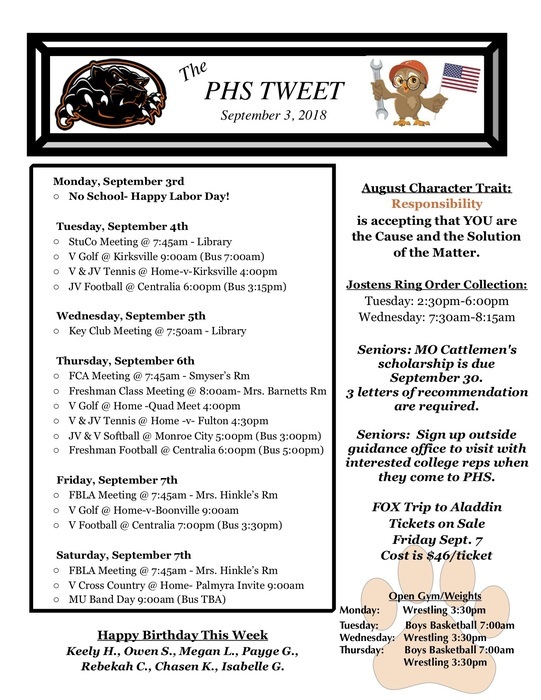 The PHS Tweet for the Week of Sept. 3rd! The Softball games scheduled for tonight will be played in Palmyra. 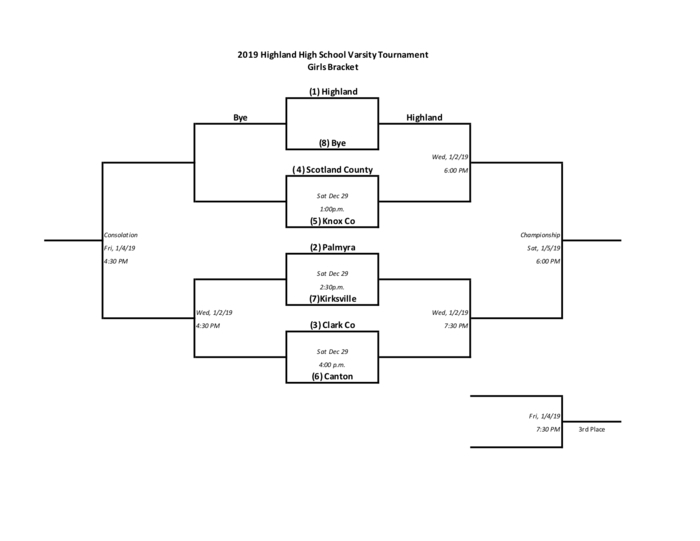 Varsity starts @ 5. 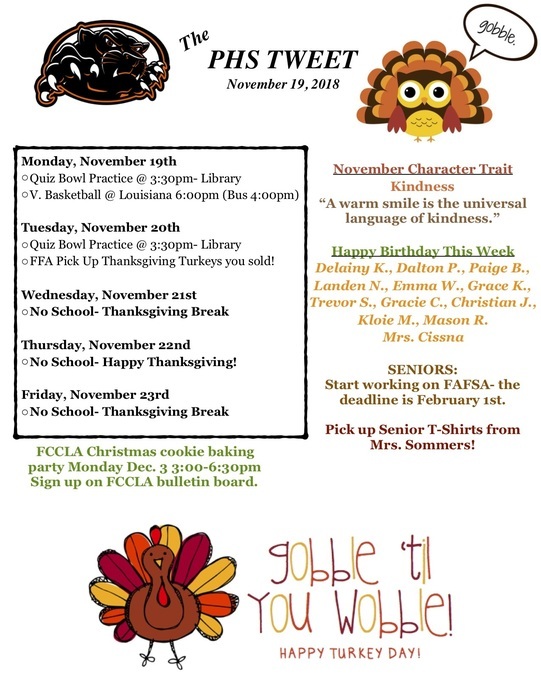 See you @ the field! Sophomore Class Ring Info Attached! The PHS JV Softball game has been moved back 1 hour. New start time is 6pm. 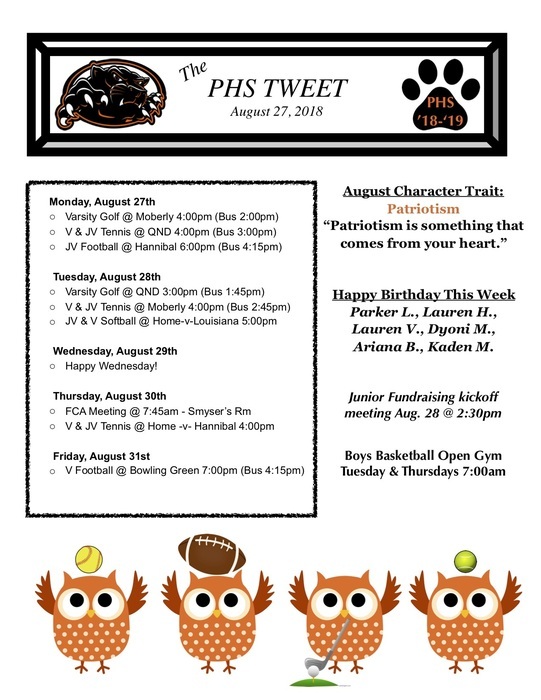 The PHS Tweet for the Week of August 27th! 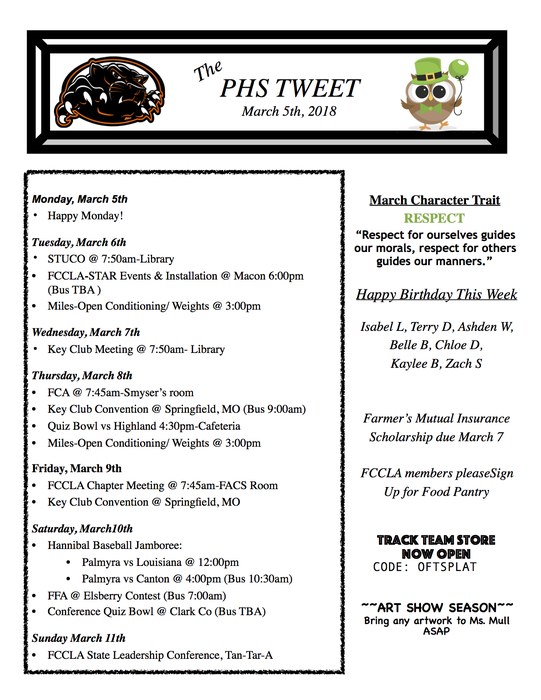 FFA Trap Info & Safety meeting Tonight Mon. Aug 13 at 6pm in the Ag building. Sr. Composite Pictures - rescheduled for tomorrow Tues. Aug. 7--9am-3pm in the HS Library--sorry for the inconvenience. 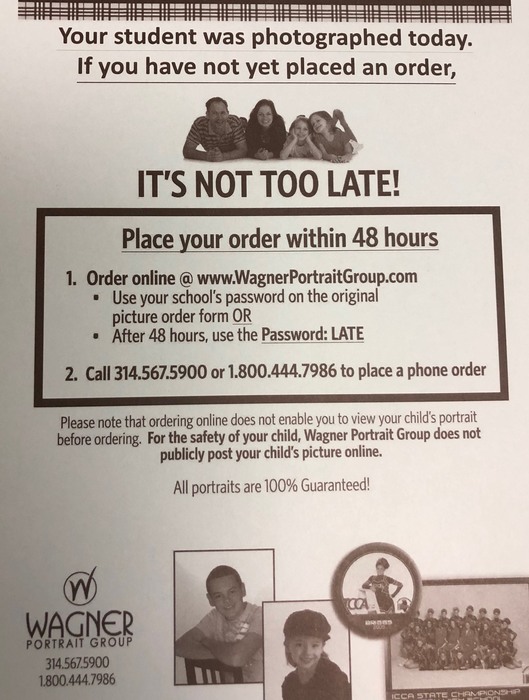 Sr. Composite Pic are postponed due to unforeseen circumstances. Reschedule date will be sent ASAP. 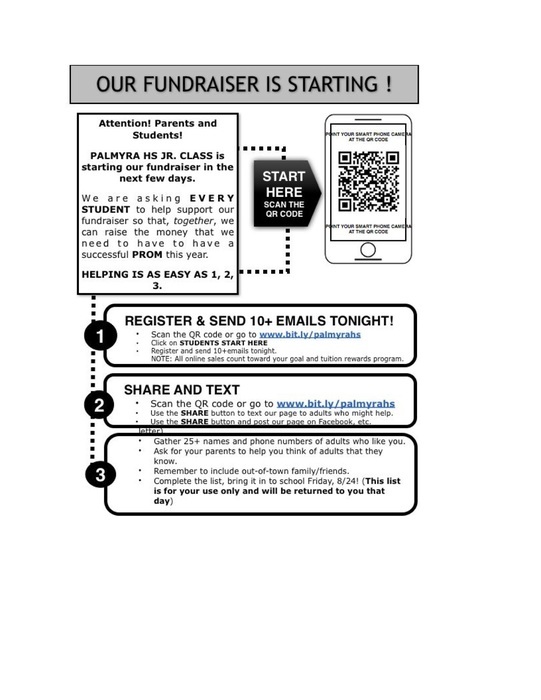 Palmyra School District accepts online payments for food service! 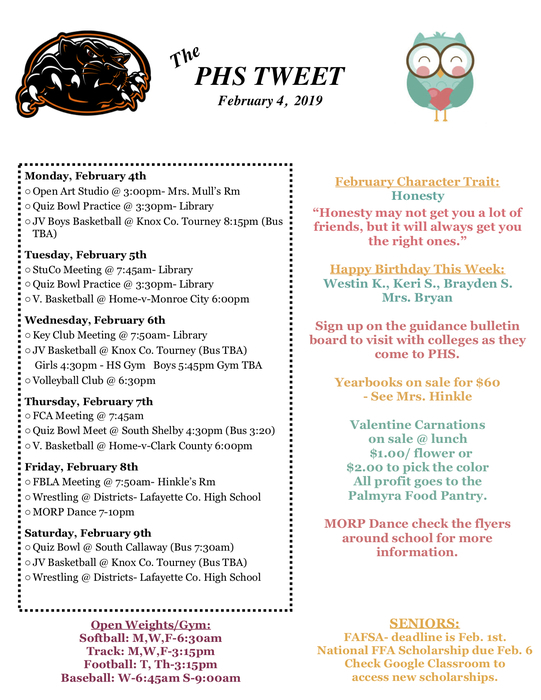 Visit palmyra.k12.mo.us, go to your parent portal, & choose ONLINE PAYMENT any time to make a payment with a credit/debit card. 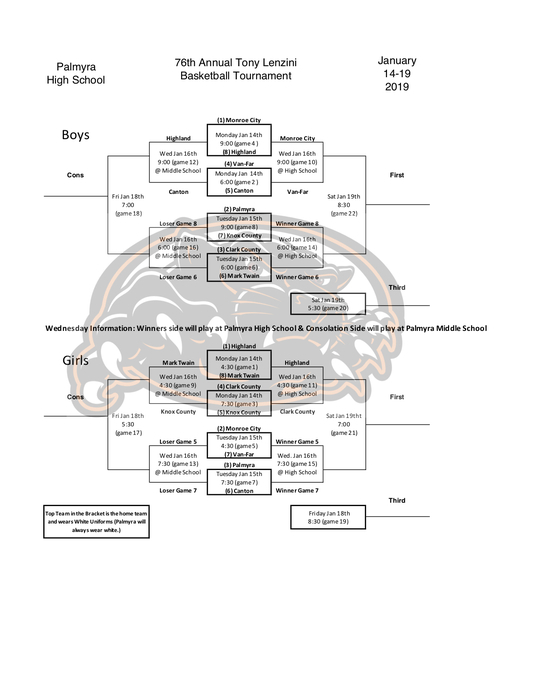 Schedules are online! 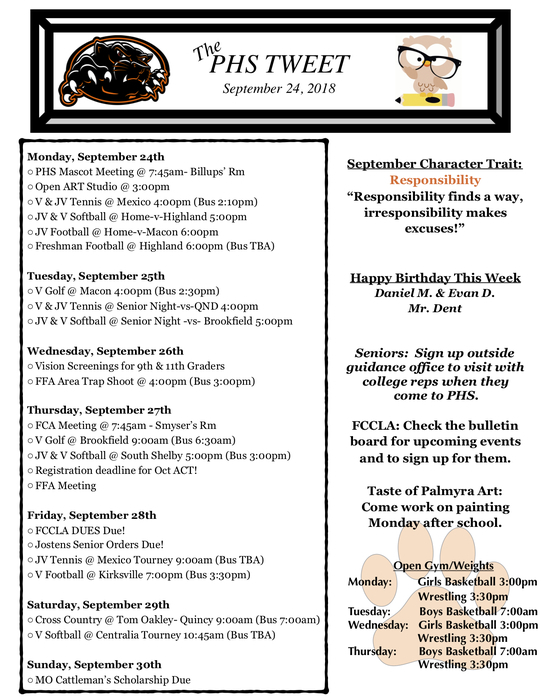 All course change request will be handled on your scheduled walk in registration day. 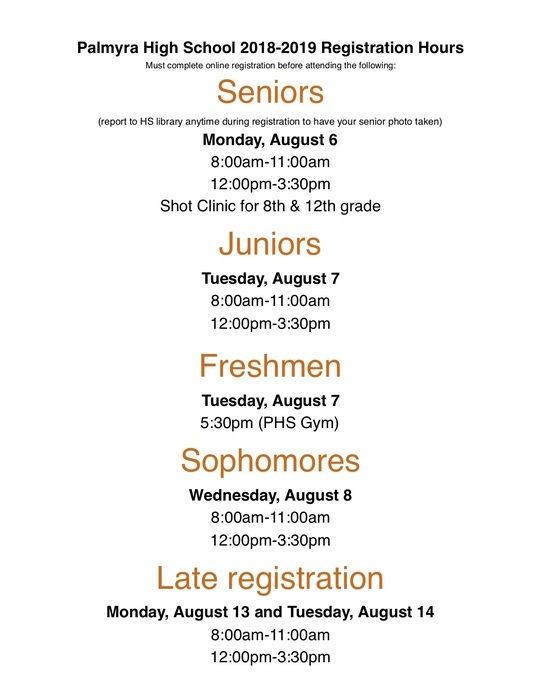 Immunization clinic for Palmyra R-1 School going to be 8th & 12th graders: Monday Aug. 6th. 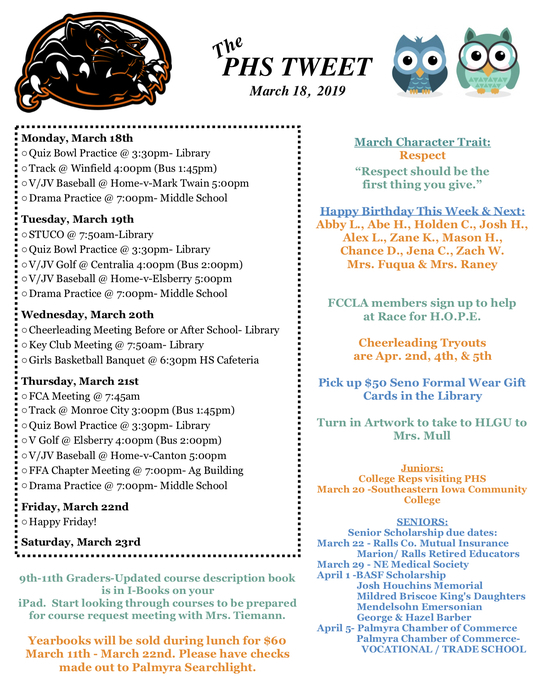 Parents please check your email for more info. Are you taking the ACT this Saturday? Please confirm your testing location so you arrive to the correct place! 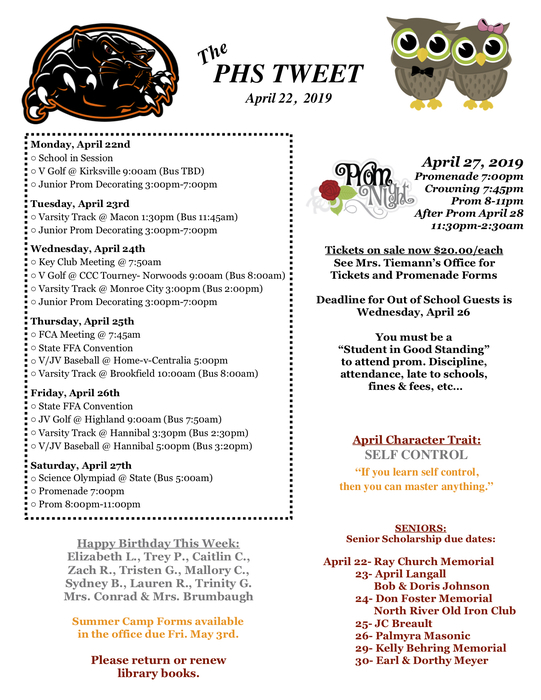 Happy Easter from the PHS Staff! Palmyra's baseball game vs QHS tonight has been moved to QU Stadium at 6pm. Varsity only tonight! PHS Yearbooks on sale now for $60. Make checks payable to Palmyra Searchlight. 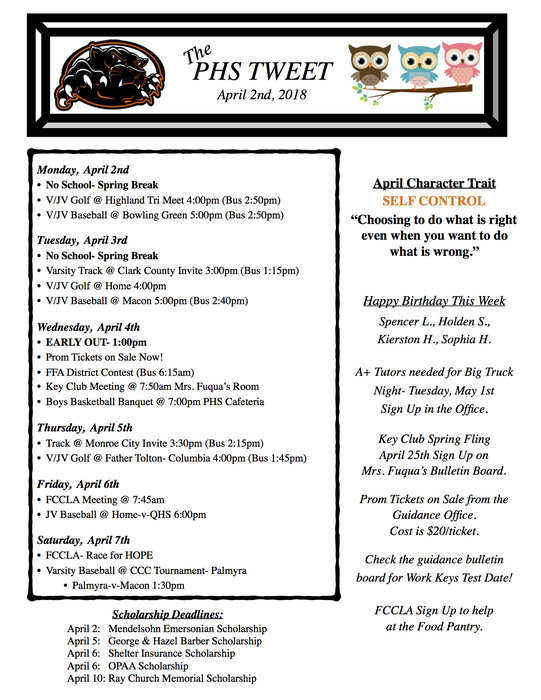 The Baseball Game & Track Meet have been cancelled and rescheduled for Wednesday. 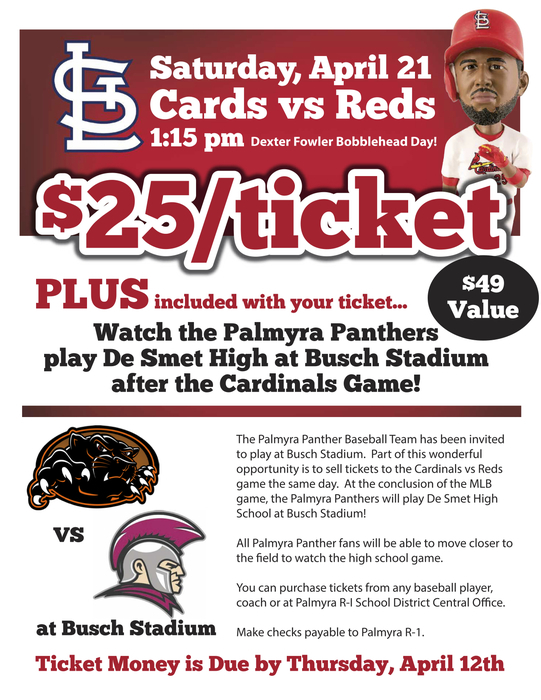 Cardinal/PHS Baseball tickets will be available by placing your order by March 28th- Karrie Kroeger at 769-2066. PHS Baseball @ Busch Stadium! Get your tickets now! 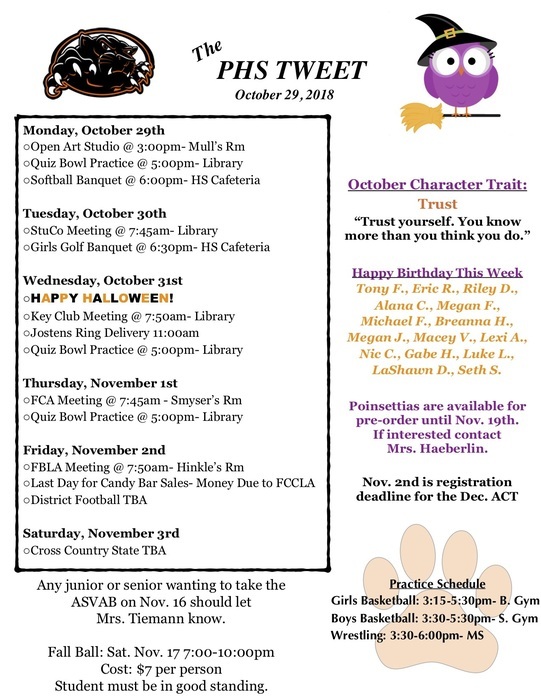 Sports Physical forms for 6th-11th grades are due no later than Mon. March 12th. 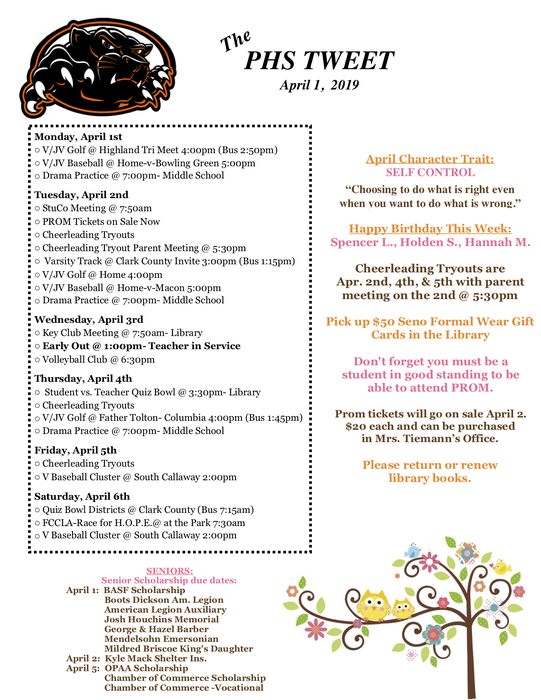 Physicals are Thurs. March 15th. Reminder: Money ($37) for school-given ACT is due tomorrow. 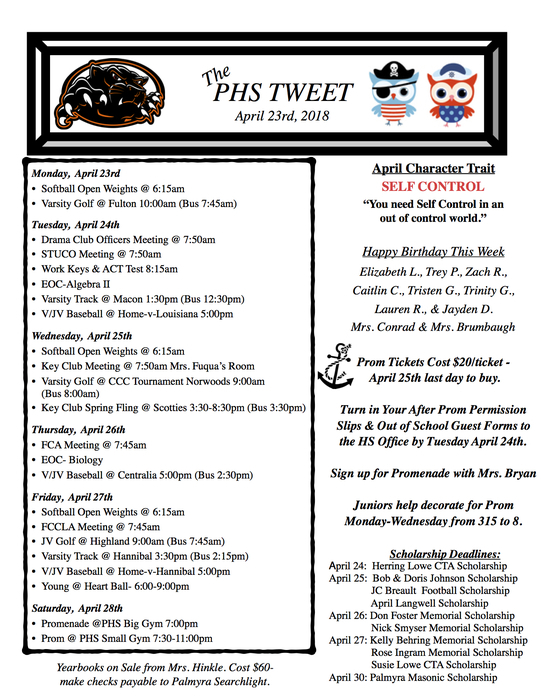 Soph, Jrs & Srs: PHS will be giving the ACT on Apr. 24th at a discount of $37. 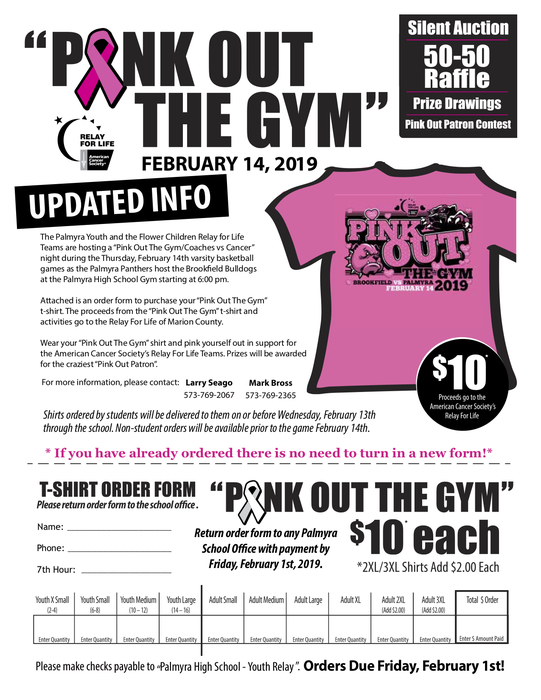 Please sign up & pay in the office by Friday, Jan. 19th. Palmyra R-1 PRIDE graduation is postponed until Sunday, Jan. 14th at 3:00pm. Due to Hannibal Schools starting late Vo-Tech students will not be going tomorrow. Vo-Tech students need to be at school for 4th Hr. Reminder: Vo-tech starts on Thursday so Vo-Tech students be here by at 9:56 tomorrow. Quarterfinal Softball game at Bowling Green noon Sat. 10/18. Gates open at 10:30am limited sitting so bring lawn chairs. 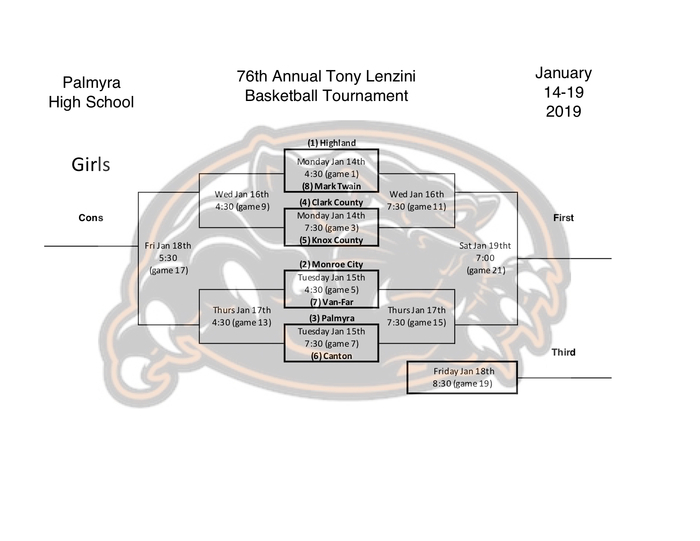 Go Lady Panthers!